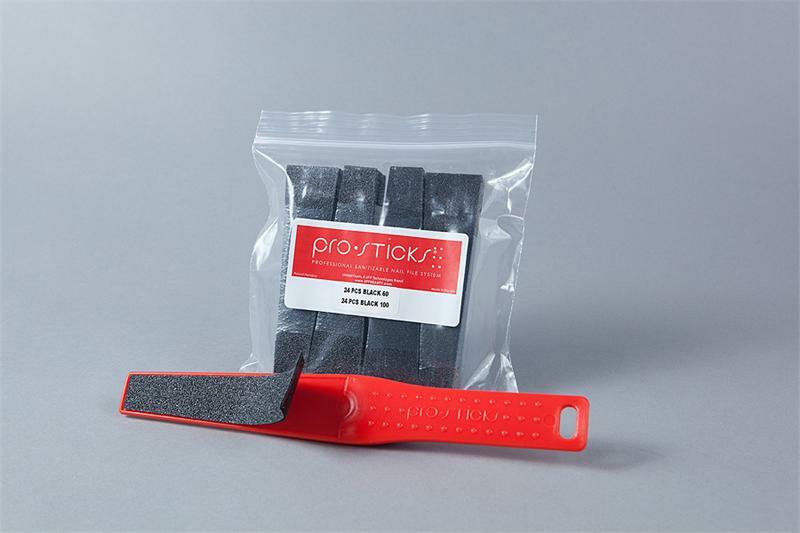 Pro-Sticks® red contoured handle is ergonomic, sanitizable and autoclave safe, resulting in 70% less waste than regular nail files. 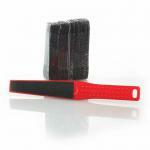 Black abrasive stickers are easy to remove and apply for quick changes between clients. 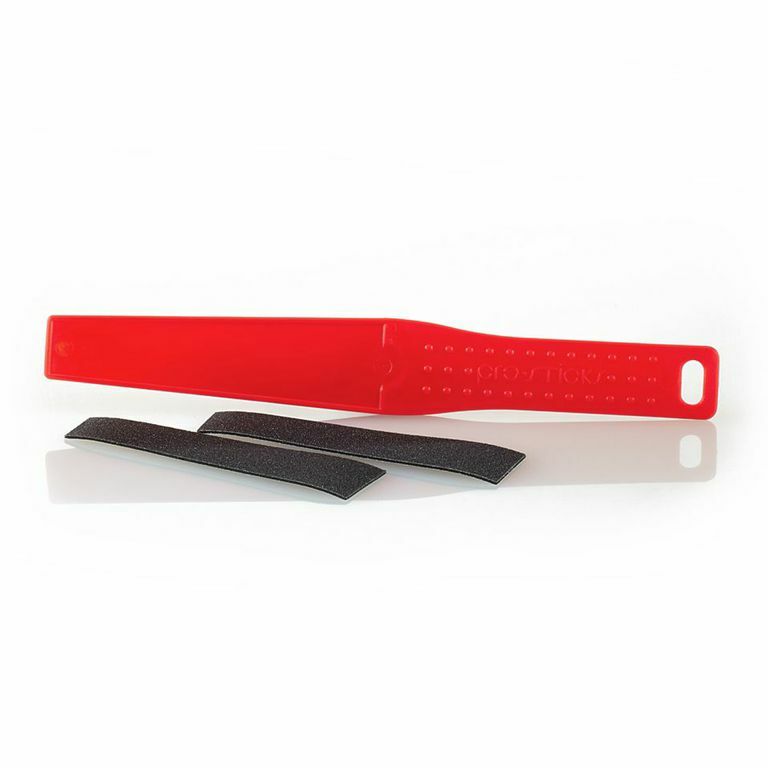 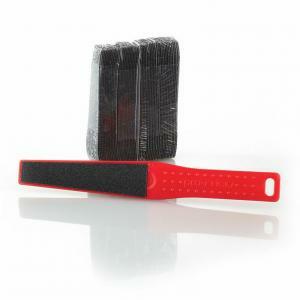 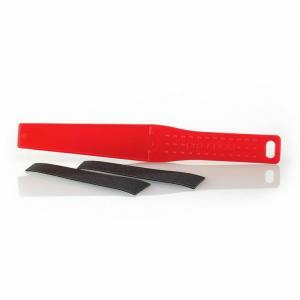 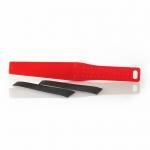 Starter Kit includes 1 red two-sided handle and 50 black abrasive stickers with a grit of 60, 100 or 60/100. Made in the USA.Original item numbers: PDM001, PDM002, and PDM003.